Thumbs up for this Ross, very interesting indeed! Cheers, glad everybody is enjoying! Tomorrow I'm going to try and tackle Papua New Guinea! Bit of an obscure one today. And the pre-Virgin years are complete! But one question, Pulse Four -"None of these aliases would be returned to after the release of Pulse Four, other than on re-issues."
! Yes, I forgot about that. Will correct, cheers! Just glad to help, you are doing an amazing job! Just did Cascade today, as well as adding an 'availability' section to every page (including FSOLDigital links where appropriate), and added a few details about unused tracks to the Global page. Thought it would be best to leave Lifeforms to do in one big block. great. 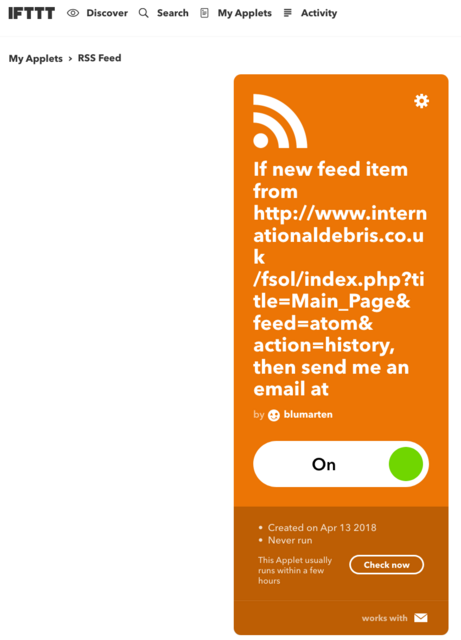 would be nice if you use http://www.ifttt.com to take the rss to a dedicated twitter channel we can follow to be alerted of updates.